Knoxville Greenway Walkers outing on 3/24/14. Mac Post led a 4.4-mile loop hike through part of Ft. Sanders neighborhood and then downtown. We had an interesting walk-about, with lots of history thrown in, courtesy of Mac. Great weather, and a nice group of people to walk with. 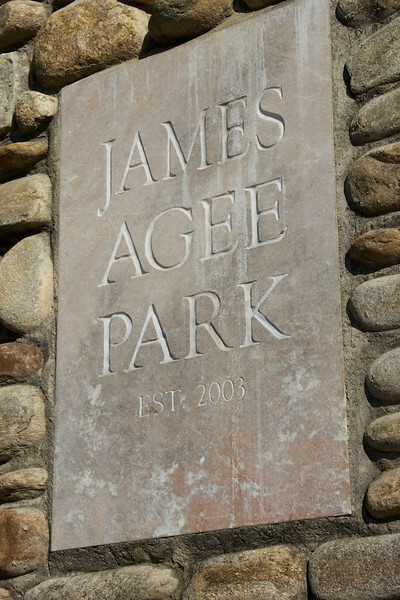 Plaque at James Agee park.